Airlift News from TCB Inc. The flight will be on hiatus from August 25, 2012 to November 3, 2012. The service will resume on November 10, 2012. The flight will be on hiatus from August 18, 2012 to November 3, 2012. Service will resume on November 10, 2012. 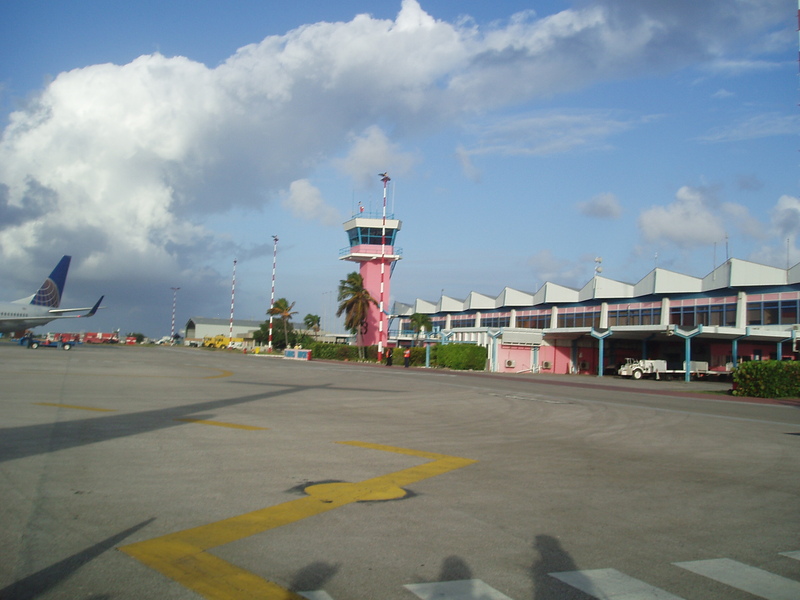 From August 31, 2012 to September 28, 2012 there will be no United service to the island. During that time period, Delta has already committed to monitor demand closely and upgage the Atlanta airplane should the demand warrant. We are in process of contacting Insel Air to see if they will protect the connections from AA and US over Aruba and/or Curacao, so we can confidently utilize them as an alternative. United has already notified major tour operators of the seasonalization and they are in the process of re-accommodating passengers, so it is possible you will be hearing from potential guests and groups. We will keep you informed as developments materialize. I love sangria and find the best setting to enjoy is at Hang Out Bar. What better spot with stellar views, cooling trade winds and the windsurf show non stop action? 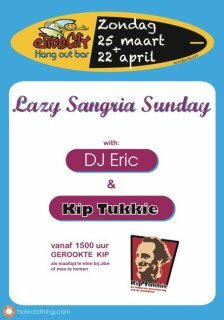 Willem and team are offering Lazy Sangria Sundays the 25th March and 22nd April. What better way to enjoy the day than with a DJ, Willem and his staff and the best sangria on island. Hang Out Bar is located at windy Lac Bay. Lac Bay is one of the world’s best spots to learn to windsurf and to hone your skills. 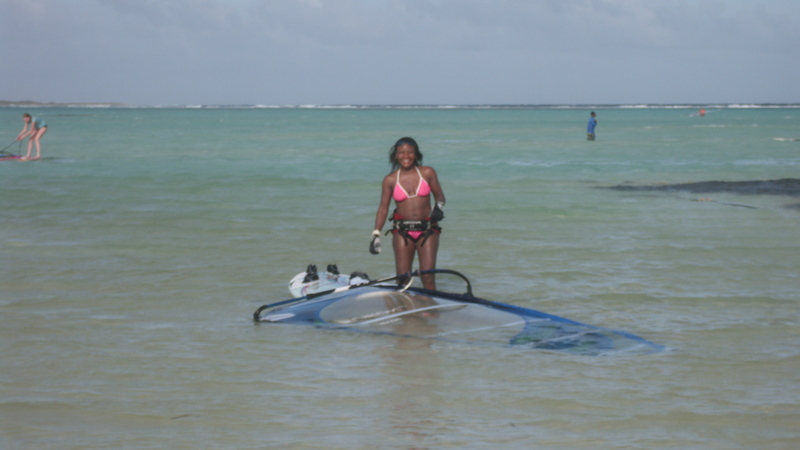 To book your windsurf holiday contact ann@bonairewindsurfing today. Cultimara closed but a new shopping spot has opened up in the same location. Top Supermarket is really super. The aisles are really neat and organized. I like the way everything is set up. Pricing is clear and marked well. Speaking to the prices, I find them fair. I like this shop as they have all the American brands I use for cleaning such as Soft Scrub, Windex, and Scrubbing Bubbles. They also have Fuller brushes and brooms. Today I bought a lovely papaya that was sweet as sugar. They are open 7 days a week and have plenty of parking as well. Don’t forget the day old bread in the back for the birds and donkeys !! It’s a buck a bag! Patrice has moved Bistro de Paris to the former site of Paradise Moon next to Harbour Village. The setting is seaside magical. 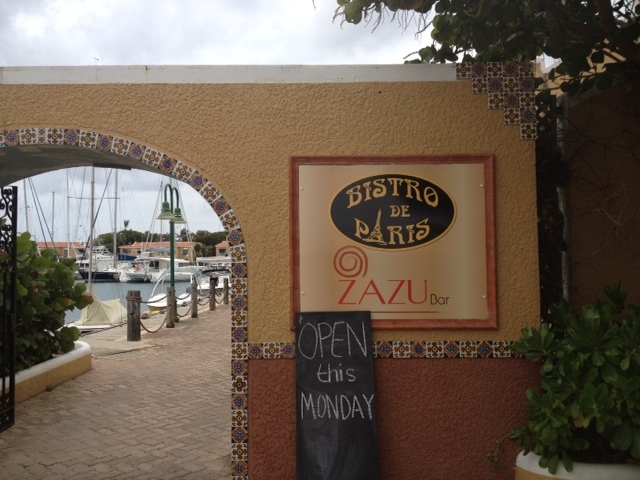 He has added Zazu, a lovely al fresco bar serving a fabulous menu 3:30-10:00 6 nights a week. 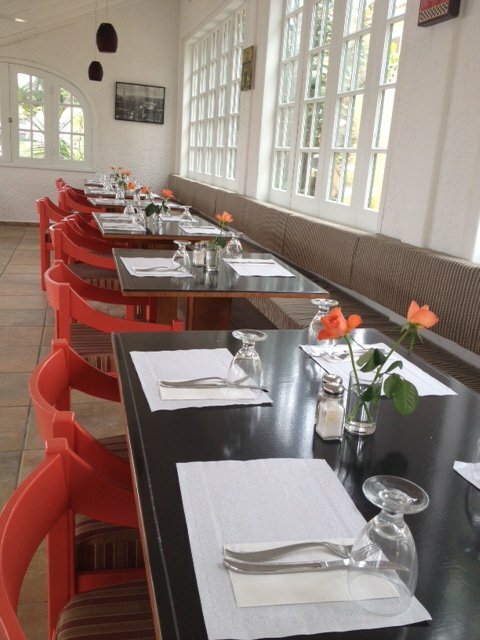 Lunch is served Monday – Friday and dinner 6 PM Monday – Friday. Bistro is closed Sundays. Patrice has added an enclosed dining area with AC for those who prefer that type of dining ambiance. My friend and I dined outside and honestly, it was a perfect meal. The trades kept us cool and the views of the harbour were stellar. The service is leisurely paced and help is never far. I chose the fresh seared tuna and Livia had the Cobb Salad. I love the bread with a lovely sundried tomato tapenade. Everything was tasty. 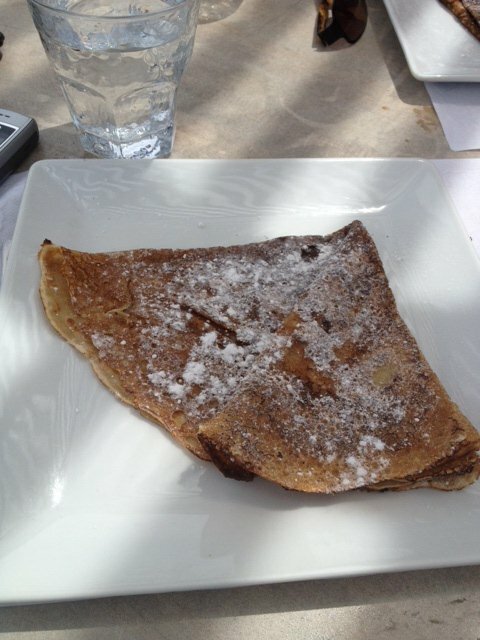 For dessert we had homemade crepes. The bill before tip (no beverages) was 37.00. I wish Patrice the best success in his new venture. So far, the new setting shines. To reserve your table contact your personal concierge, Ann Phelan at ann@bonairecaribbean.com or Patrice direct at 717 7070. 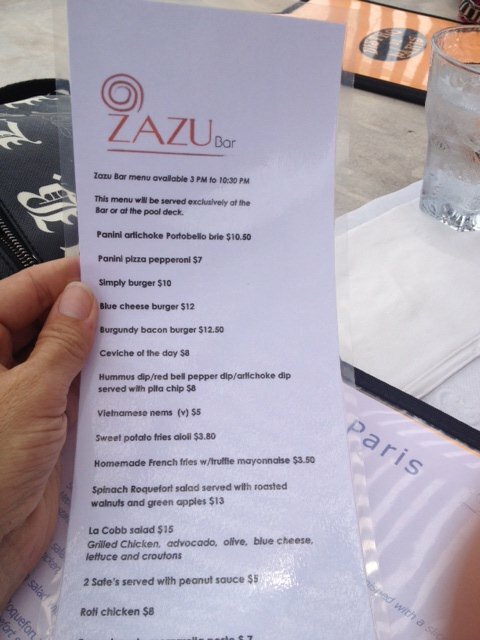 Please enjoy reviewing Zazu’s menu. This is a great late night dining option. Each year I welcome a massive posse from Long Island. This fun filled group includes families, novice sailors and pro sailor Mike Burns. This year a new Bonaire visitor allowed me the opportunity to plan her first (and hopefully not her last) trip to Bonaire. Thandi Bradix sent me a photo of her chilling in pristine Lac Bay. I welcome and appreciate the opportunity to introduce the island to new sailors. Have you joined the hottest Social Medium yet, Pinterest? If so, you are already addicted. If not, take a peak I love my Pinterest!